A Proposal that is designed to outline your proposed project is a PhD proposal. It defines a clear question and approach to answer it. Helps to highlight its originality or significance. This proposal will help you to know about existing literature in the field. Even if you are working on a establish project still you are expected as a part of university application procedure, to explain the development of particular research that you are working on. The main purpose of the proposal is that the candidate has done proper research in their area of interest. They should be ready to tell about the broad description of their issues in proposed proposal. Often researchers are needed to be modified because finding cannot be predicted beforehand. Your proposal should be attractive enough to attract the academic community that you want to be work with and be sure about the time duration, complete the project within given realistic time frame and at a reasonable cost. So, In order to prepare your proposal read below guidelines that will assist you in this task. It is important to check with department for word limits and guidelines. 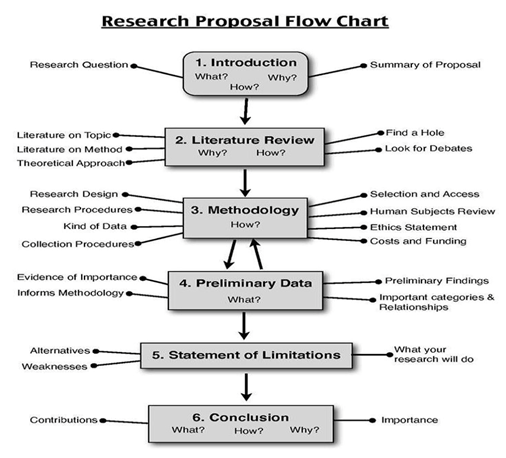 What is a research proposal for? Potential supervisors will use your research proposal to check the quality and generality of your ideas. Your research proposal will give them access to check your skills in critical thinking and to check whether your project is feasible or not. Please keep in mind that your need to complete your proposal within three years if you’re doing it regularly and if you are going for the part time then you need to complete this program within six years. So carefully think about the scope of your research and get ready to explain how you will complete it within this time frame. To access your expertise in a particular area and to check knowledge of the existing literature, the research programs are designed. These are used to access and assign the supervisor team. If you want to work with a particular supervisor and you have discussed it with that person, so you need to mention about this in your proposal. Before making a formal application, we advise you to check and identify the particular supervisor, discuss your proposal informally with supervisor and also ensure the mutual interest. It will help you to gain the input on the design, scope, and feasibility of your project. Critically, it will give you an opportunity to communicate about your passion in the specific area of your subject and it will give an effective logic about your project accomplishment. Although a project will cover an outline so it should be proposed as the logical essay that is it helps to gain attention to the readers and show them the importance of your project. Is the research proposal set in stone? This is not true because the good proposal spread as the work release. It is common for students to rectify their actual proposal with the help of literature reviews given in detailed. For further reviews, you can consider the reviews and comments of the expert’s supervisors. It is helpful if you view your proposal as the beginning outline rather than making it “final product” summary. You can change the title but keep in mind to include the important keywords that will refer to the particular potential supervisor, funding schemes and more. You should make sure that you that your title should simply describe the subject matter – which will identify your approach and key questions. This section will give a summary of your proposed research to the reader who is not specialized in this field. It will summarize the aims, significance, and outcomes of the research. • Research questions: - This section should include research questions and give major approach to the conceptual, theoretical and normative approach to the questions. • Aims/Objectives of the Project: - List of your aims should be logical and in sequence like what you want to know, prove, analyze, investigate or examine. The aim of the project is to be providing an outline of the project to be proposed and to give permission to the student to start preparing the research proposal. In this section, you should abstract your research overview and observe that they are suitable for existing academic discourses, debates and literature. You need to be particular about recognizing the development and debutantes you want to join with but get the direct way to lead long exegesis PhD particular course. Make links between your research and existing strengths of the departments to which you will apply within this section. You can go and check for suitable websites that will help you to search for the existing research going in the particular department and check whether your project can go with this. You need to make unique different proposals if you are applying for multiple departments. The proposal should be unique for every department. You need to rectify some important debates and issues at this stage, also show your knowledge about the main works of research that are addressing the research issue that you are proposing for. It is not possible for you to review all relevant literature at this stage so you can go for few. In this part of the proposal, you should give reference to the texts that are most important related to the research. Identify your gaps in both theoretical and practical issues by demonstrating your understanding to the research issues. The original piece of your research PhD, will help to demonstrate that your proposed topic has been studied before or not. In this section, you will be able to identify the information and data that you will need in order to address the main issue of your research. It will identify how you will use the material and important research methods and techniques that you will use. You should also pinpoint the main problems that you may face during the research process. You need to demonstrate that you already have given some time to thought about the methods that you will use on things. There will be no need to give full details about those methods that you will use to answer your research questions..
You should forecast the methods that you will use to achieve the project aims and also to show that your project is feasible or not within the given time period. Your application will get unsuccessful if you are not able to complete your proposal in time. • How do you predict that you will achieve the project aims and what is your reason for taking this project approach? • Explain what do you need? • Can you go for necessary data and expertise? • Do you need particular resources to complete your project? • Are you aware of any barriers or pitfalls? • The proposed project should involve human ethics, animal ethics, and safety? • Do you require any travel or field work? If yes the where to go and how long and for how much time? You should provide the realistic plan in which you will complete your studies for research whether its three years plan or six years part-time plan. You also need to complete your monthly/quarterly outline within the time scheduled. It can be the longest section of your research outline. This is very important section and you need to give full attention to this section. All questions that are answered should be in detailed information. The person who will read your proposal will look for quality of evidence that you have used. You should clearly define all the research strategies that are related to your department. All the methods that you have used for data gathering should be defined clearly. The references you provide to the reader should be in a good sense of your grasp on the literature and how you use them. You should be confident about the reference texts and resources that you have used to play the large role in your analysis. It’s a critical reflection of the selection of appropriate text used by you so be careful about this because you are not writing a bibliography that you can list anything. 1. You should be clear about your research idea. This will take the assumption in form and you can identify a more open-ended issue. 2. Try to establish the impotence and relation of the proposed research question in the surroundings of the current academic thinking. 3. You should give the complete description about the data and source material you need in your research program. 4. You need to give a clear and practical approach to the methods that you used to enable the address of your research topic and to answer the questions. 5. You should suggest the impact that your research might have, and the new areas you work. 6. You need to explain why you’re qualified and capable of doing the proposed research. 7. Do all the above points in a short, cleared and grammatical manner. 1. You should be sure about the research idea, its questions, and problems. These things should be stated very clearly. 2. Time should be given to the formulating questions in the early stage of a project because they are as important as project results. 3. You should be sure about the applying to a department that you have researched, ensure that there are staffs that are interested in your project and also supervise your project. 4. Make sure that you have connected potential supervisors in advance, and shown them the polished version of your project. 5. You should be ready to accept the changes, so do not make your proposal final proposal without taking help of expert supervisors. Be ready to accept the changes in your proposal. 6. The poorly formed proposal indicates that proposed project may suffer from rejection so; you should make sure that project is well structured. 7. The scope of your project is reasonable, within the significant limits to the size, be sure about this. 8. You need to complete and write the project within given span of time. 9. Your passion for the particular subject should be to shine through the structure and arguments present within your proposal. We know that we are nit experts in this field but it’s up to you only to make your project and subject matter to get engage with your readers. 10. You should be sure about the proposal gives the understanding of each of the research methods and these research methods should clearly identify the appropriate research questions. 1. The content of the table. 2. Introduction to the related topic. 3. Research project problem statement and justification. 4. Objectives of the study. 5. Review of research and literature. 7. Data collection and its evolution. 8. Analysis of text and documents. 9. Results and output of the study. The students who originate from a country subject to UNSC sanctions are exempted from the requirement to complete a research proposal as part of the application for admission. All the students who are applying to the faculties of different subjects are requires submitting a research proposal on the research proposal template. Contact us to get the latest projects based on IEEE & IEEE Papers in various domains of M.Tech ECE and its sub-domains i.e. VLSI, MATLAB, Antenna, Communication and Digital Communication etc.